Diego Mantovani of Laval University, Québec City, Canada gave the first lecture of the recently established PhD Programme in Translational Medicine. 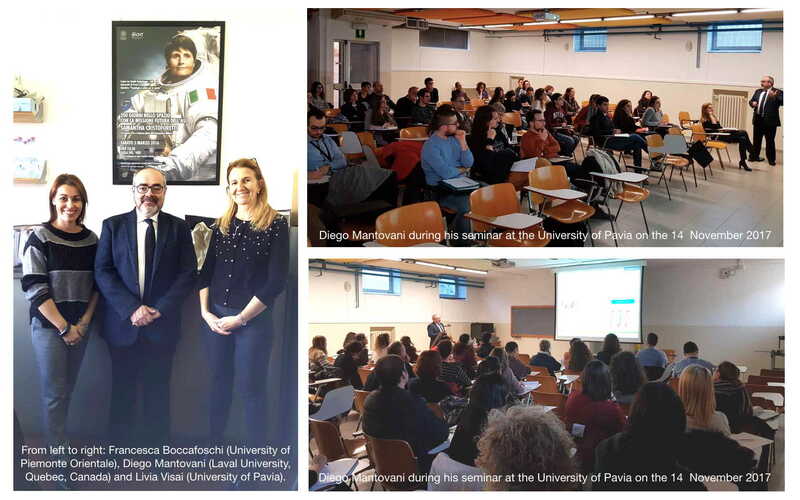 The lecture entitled 3D Scaffolds Cellularised with Human Vascular Cells in Bioreactors: Applications in Regenerative Medicine and Beyond was hosted by Livia Visai, deputy coordinator of the PhD Programme. The poster of the lecture can be downloaded here. The lecture was attended by over 50 participants both students and staff (see photo gallery). Over the last 50 years, biomaterials, prostheses and implants saved and prolonged the life of millions of humans around the globe. Today, nano-biotechnology, nanomaterials and surface modifications provides a new insight to the current problem of biomaterial complications, and even allows us to envisage strategies for the organ shortage. In this talk, creative strategies for mixing vascular cells and collagen-based materials will be targeted with the overall aim to envisage today how far innovation can bring tomorrow solutions for regenerative medicine. 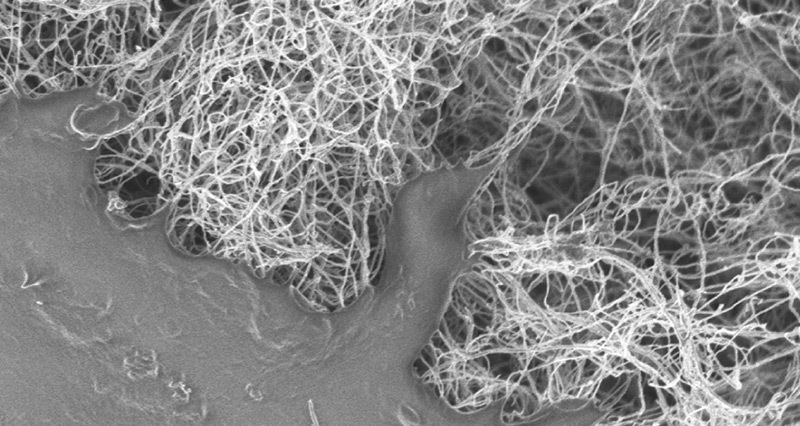 Collagen gel is a commonly used scaffold in vascular tissue engineering due to its biological properties including a high potential for supporting and guiding vascular cells in the regeneration process. With the aim to regenerate the vascular wall, the approach we deployed consisted in first reproducing the media, which provide the high elastic properties of the vessel wall, thus making it an essential and effective component for blood and nutrients transportation. Starting from an original method aimed to process collagen and smooth muscle cells (SMCs), we developed an endothelialised two layers collagen cell-based tubular scaffold. The external layer was composed of fibroblasts (FBs) and SMCs seeded within collagen. The middle layer was composed of SMCs seeded within collagen, and endothelial cells (ECs) were culture on the lumen of the construct. The construct was expected to provide vascular tissue remodeling due to cells/cells and cells/matrix interactions and to produce an engineered tissue with hierarchical structure close to that of blood vessel walls. It was also expected to provide a valid in vitro model for further studies of vascular patho-physiology. The middle and external layer were mold around a mandrel, directly in the bioreactor chamber. Then, the mandrel was removed and a ECs solution was perfused inside the lumen. The interaction between cells enhanced the matrix remodeling and the properties of the arterial construct resulted strongly improved. This shows that vascular cells tri-culture using collagen gel scaffold is a valid strategy for the regeneration of the vascular tissue. The overall take home message of this talk is aimed to show how 3D pluri-culture of appropriate material/cell/environment represent the today bottleneck in regenerative medicine and which are few of the strategies that have to be investigated to push forward innovation in the field. D Mantovani holds the Canada Research Chair in Biomaterials and Bioengineering for the Innovation in Surgery, professor at the Department of Materials Engineering at Laval University. He is also adjunct director at the Division of Regenerative Medicine of the Research Center of the CHU de Québec. A recognised specialist in biomaterials, D Mantovani’s research sits at the frontier between engineering, medicine and biology and aims to improve the clinical performances of medical devices for functional replacement, and to envisage the next generations of biomaterials to develop artificial organs enhancing the quality of the life of patients.He has authored more than 250 original articles, holds 4 patents, and has presented more than 170 keynotes, invited and seminar lectures worldwide in the field of advanced materials for biomedical applications. His h-Index is 41 (Oct 2017) and his works received more than 5900 citations. In 2012, he was nominated Fellow of the International Union of Societies for Biomaterials Science & Engineering (FBSE) for his leadership and contribution to biomaterials for medical devices. He was Executive Co-Chair of the 10th World Biomaterials Congress 2016. He is an advisor to three medical devices consortia in the Americas, Asia and Europe. PM Taylor. Phil Trans R Soc B 362:1313 (2007) . Pictures showing different moments of Professor Mantovani’s lecture.